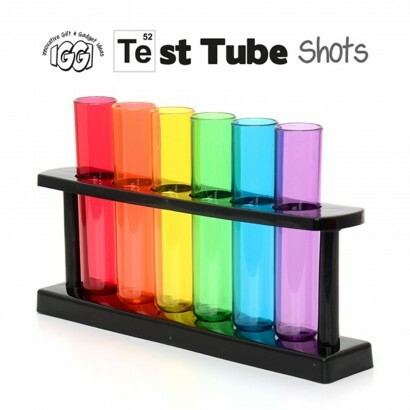 Set up your party shots in a rack of colourful test tubes for the ultimate party drinks! 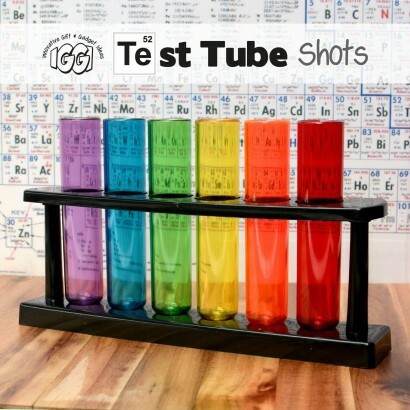 Six test tubes in a rainbow of colours line up in their own rack ready for your party guests to knock back and enjoy! 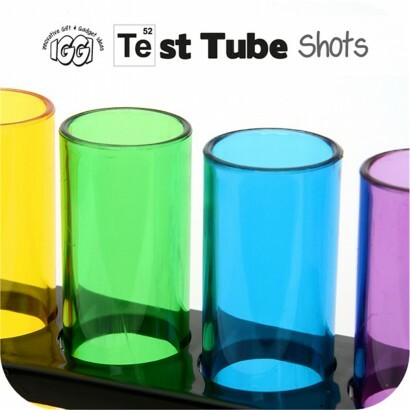 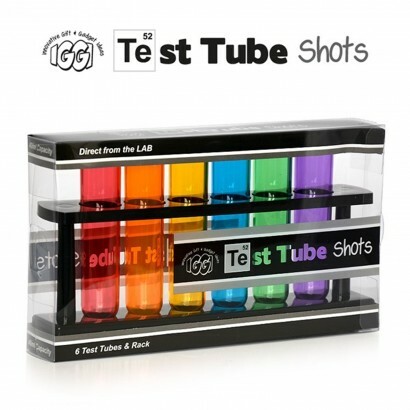 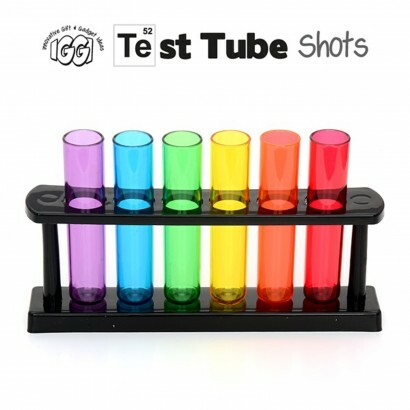 When you're not enjoying party drinks, this colourful Test Tube Shots set makes a funky kitchen decoration.